All kinds of pain can be treated by acupuncture, the treatment of many physical, mental and emotional conditions have been successful. In expert hands, you should not feel pain from the needle. You will feel relaxed and energised after an acupuncture session. At our clinic only sterilized disposable needles are used. Acupuncture is a treatment based on ancient principles which go back nearly five thousand years. 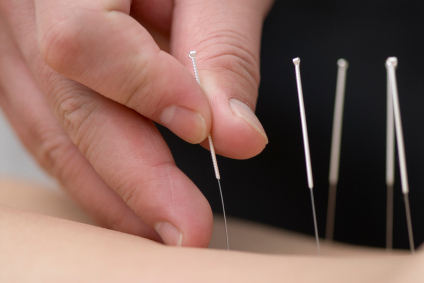 The overall aim of acupuncture treatment is to restore the body's equilibrium. It does this by stimulating the body’s nervous system so that the body can produce its own medicines such as adenosine. What makes this system so uniquely suited to modern life is that physical, emotional and mental are seen as interdependent, and reflect what many people perceive as the connection between the different aspects their lives. For someone that does not like the idea of a needle, Chinese herbal medicine, acupressure and moxibustion are the alternative options.